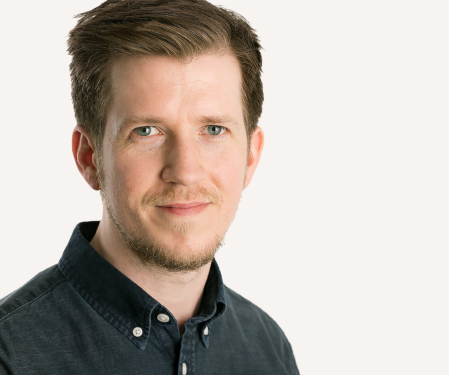 Monday, September 17 was the day of the official opening of the DNRF center Hy-Q, headed by Professor Peter Lodahl at the Niels Bohr Institute, University of Copenhagen. The center will focus on up-scaling small quantum systems, with the long-term ambition of contributing to the development of a quantum internet. 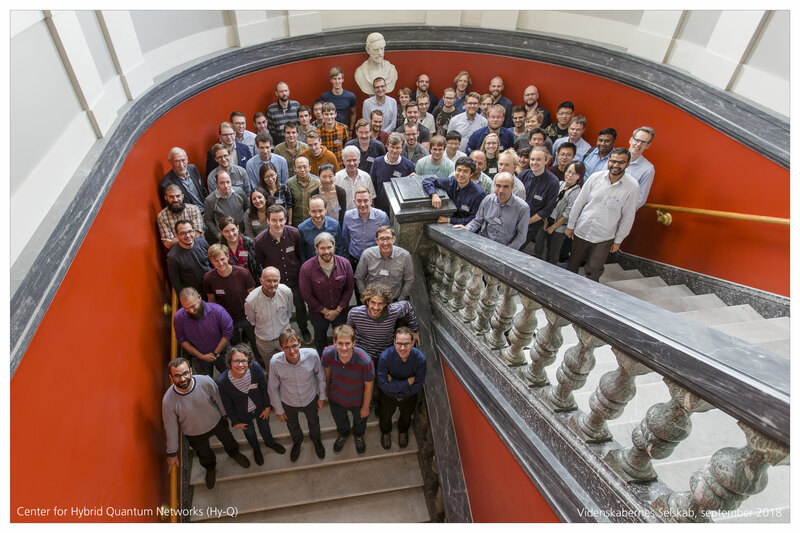 On September 17, 2018, the official opening of the DNRF Center for Hybrid Quantum Networks (Hy-Q) was celebrated at Festauditoriet at the Faculty of Science, University of Copenhagen. The center is anchored at the Niels Bohr Institute as part of a collaboration between three research groups and will be headed by Professor Peter Lodahl. The vision is to reconcile expertise in areas of quantum physics research at a high international level. One of the primary challenges in quantum physics today is to scale small quantum systems into large and complex quantum architectures, which can, for example, be used to send quantum information over long distances. It is primarily this challenge that Hy-Q will take on, with the long-term ambition of contributing to the development of a fast and secure so-called quantum internet. 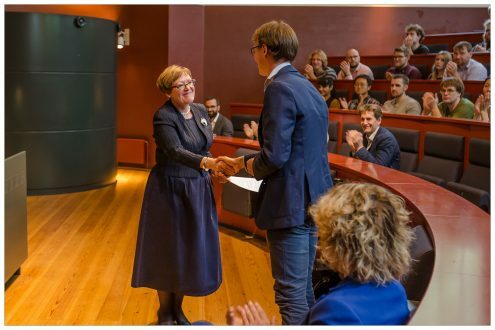 The inauguration had a series of speakers, including Professor Liselotte Højgaard, chair of the Danish National Research Foundation, who congratulated Lodahl and his team on the grant, saying that the foundation looks forward to following the center’s exciting research in the coming years. “Hy-Q is doing research in an area of importance for mankind – the overall drive is ‘blue-sky research’ aiming at new realms of quantum physics. Hy-Q may also contribute to the ultimate long-term vision of quantum technology: a ‘quantum internet’ remotely connecting separate quantum systems in a fully quantum manner. The research proposal is firmly rooted in recent scientific breakthroughs that make this highly daring research endeavor viable,” Højgaard said in her speech. The other inspiring speakers of the day were Rector at the University of Copenhagen Henrik C. Wegener; Dean of the Faculty of Science John Renner Hansen; Head of Department at the Niels Bohr Institute Jan Thomsen; Professor Stephanie Wehner of Delft University; and Professor Anders Søndberg Sørensen. 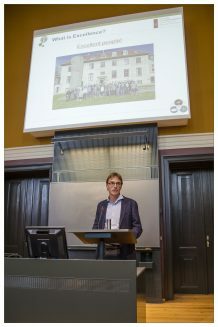 In connection with the inauguration of Hy-Q, a two-day DNRF Center Conference was held at the Royal Danish Academy of Science and Letters on Tuesday, September 18, and Wednesday, September 19. A number of prominent speakers from around the world participated in the conference, thus helping put Hy-Q on the world map. The conference formed a framework for inspiring and reflective talks and discussions.